Zildjian, makers of high quality cymbals since the 17th Century, are returning Make Music partners in 2018. 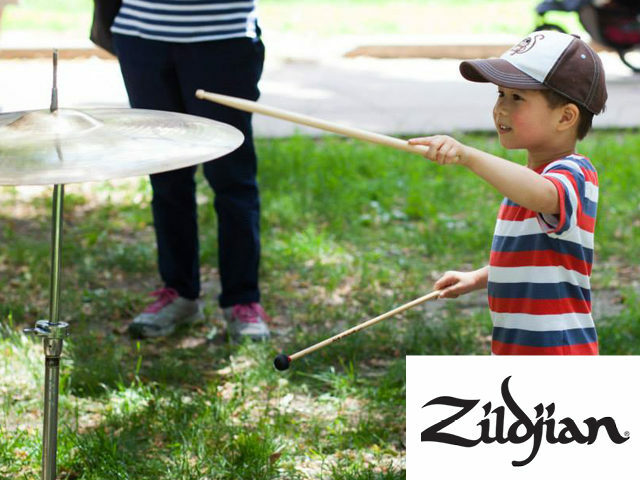 This year, Zildjian is sending sets of “Low Volume” cymbals to public libraries in Buffalo NY, Nicholasville KY, and San Jose CA, for Make Music Day performances in places where low volume is of the essence. In addition, Make Music Boston, Make Music Philadelphia, and Make Music Nashville will reprise their popular “Cymbal Jungles,” inviting children to explore the sounds of cymbals through a series of guided activities, teasing out new ways of thinking about sound and performance. Zildjian is graciously supplying the cymbals at each location.